We make dieting way harder than it needs to be. Juice "cleanses," South Beach, Atkins... why do we keep falling for them? These FAD diets aren't designed to work forever. If you're looking to drop a quick 10 pounds of water bloat for a wedding or special event, then you could probably get away following one of these unenjoyable FAD diets. Most of us don't want to lose a quick 10 pounds, though. We want to follow a plan that allows for short-term AND long-term success. For you, FAD diets haven't worked. Eliminating Bread or Butter didn't work either. I bet it wasn't your exercise routine that tripped you up, but rather your unrealistic diet protocols? Dieting SHOULD NOT be a miserable experience, and you shouldn't have to swallow down tasteless food that you hate. Remember, consistency is key when it comes to losing weight. Your diet should be tailored in a way that will make sticking to it simple. Here are some tips that will make your weight loss diet more enjoyable and easier to follow. Folks just starting out often make the mistake of eating too few calories. It's encouraging to see quick results on the scale. Heck, it can even be addicting! Plus, if you eat too few calories, you'll run into a number of undesirable outcomes such as muscle loss, poor endocrine health, and micronutrient deficiencies. For some people, eating too few calories can actually lead to eating more calories subconsciously! To avoid this, makes sure you're eating in a moderate calorie deficit. 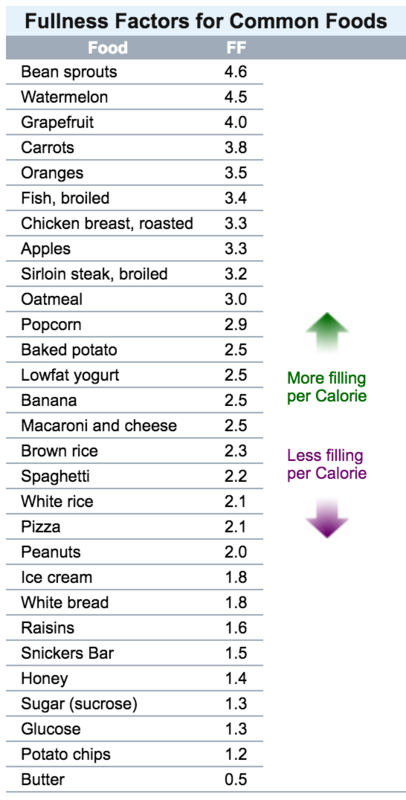 If you're unsure of your calorie needs, check out this free calculator I created. It's the formula I use for my clients, and it'll set you up with a reasonable deficit of 20-25% under maintenance. If you're spending the majority of your time hungry while dieting, you're doing something wrong. Being constantly hungry depletes willpower which usually leads to overeating and weekend binging. But prolonged and frequent hunger is a sign that your diet plan may not include enough high-satiety foods. NutritionData.com actually created a nifty scale called the "Fullness Factor." The scale uses multiple studies on satiety to create an equation that ranks foods based on how filling a particular food is for a given calorie amount. Here's a scale showing some typical foods and their Fullness Factor. Try and make the majority (at least 80%) of your food choices come from foods high on this chart. If you stick to eating whole foods (fruits, whole grains, lean meat, veggies), you'll be eating higher-satiety foods by default. It's important to eat foods that fill you up (Tip #2), but you don't want to eliminate foods you crave because they aren't "statistically filling." Now don't get me wrong - I love eating healthy food. They keep me full, and the boost of energy, vitality, and health benefits makes consuming them a no-brainer. But I'm human, and sometimes I just want some freaking ice cream. It doesn't matter how strong your willpower is, if you are always fighting the urge to eat a particular food, you'll inevitably give in. Your desire to overeat intensifies while ein a calorie deficit. You obviously want to avoid binging, and the best way to do that is to allow for occasional, controlled indulgences. Personally, I allow for 200-300 calories from foods such as chocolate and ice cream every day (at least 5-6 days a week). What's important is that the treats you allow for satisfy your cravings without messing with your diet and weight loss goals. There's nothing in the fridge, and you REALLY don't want to cook anything. But you have to eat, right? Instead of scarfing down 400 calories of whatever is in the fridge, why not just let it be and eat 400 calories less that day? You could use the same advice in the opposite scenario. Say you're starving and have already reached your calorie requirements for the day. If a small snack (300 extra calories max) will satisfy you, I'd say to go ahead and eat it. The important thing here is not making a habit out of chronically overeating or undereating your calorie goals. Even if it's just a few hundred calories...it'll add up over time if you aren't careful. Note: I would reserve this for folks who are well in control of their dieting habits. If you struggle with overeating, you should probably keep your calorie intake static in the beginning to see quicker results. My inner fat kid is gagging at the thought of grandparents around the world eating plain ol' boring oatmeal at breakfast as I type this. "No thank you, more bacon for me, please." Oatmeal is high in fiber and (surprisingly) protein, which makes it a pretty awesome weight loss food. I initially hated oatmeal, but as I began experimenting with different flavors, add-ins and recipes, I started to enjoy eating oatmeal. In fact, oatmeal has become one of my favorite foods! It doesn't have to be oatmeal, though. There are hundreds of creative ways to turn "boring" foods into more enjoyable and tasty alternatives. Do a quick Google search, and you'll likely find a plethora of blogs for cooking up healthy recipes. Another great way to "spice" up your food is to, literally, spice up your food. Seasonings make pretty much any food taste good. I could write an entire article on the topic of meal timing and frequency (and I probably will at some point soon), but all you need to know for now is that meal timing is irrelevant for losing weight. What matters is total energy intake at the end of the day. If you're dieting on 1,800 calories, it doesn't matter if those calories are split into two 900 calorie meals, four 450 calorie meals, or eighteen 100 calorie meals (which would just be... terrible). Personally, I hate small meals. 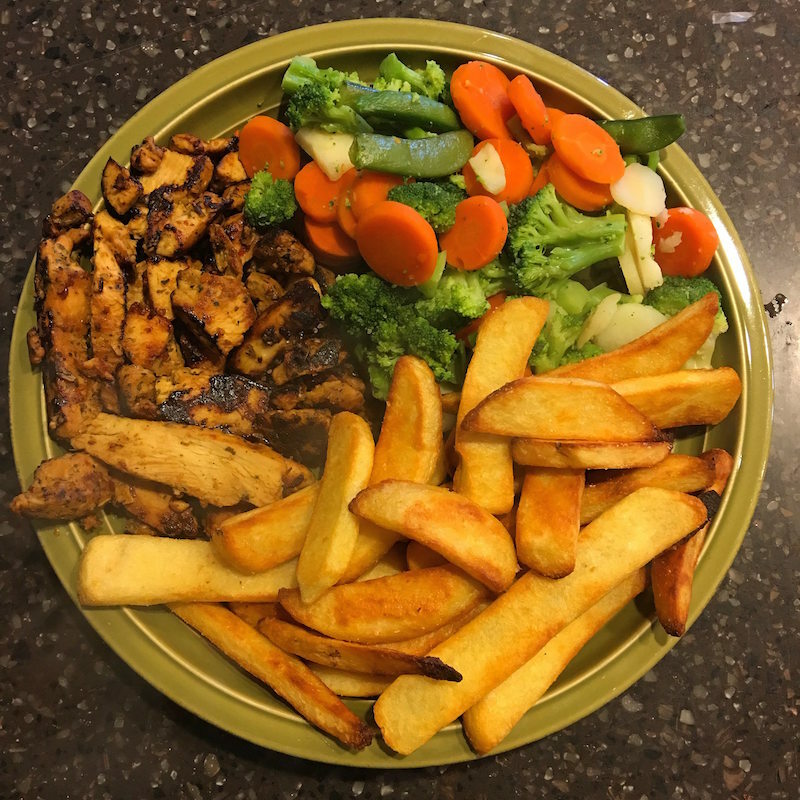 Whether you like to eat smaller, more frequent meals or larger, infrequent meals should be decided on your personal eating preferences...not some misguided belief that smaller meals will "stoke the metabolic furnace"... Bullocks! Not some misguided belief that smaller meals will "stoke the metabolic furnace"... Bullocks! Dieting isn't necessarily fun, and no one said eating in a calorie deficit is all sunshine and rainbows. But dieting doesn't have to be a miserable experience either. Bland and tasteless foods really aren't all that bad... especially when you use the tips above. We are used to eating processed foods that are infused with unnatural amounts of flavor and sugar. After a few weeks of eating more "clean" foods like fruits, vegetables, and whole grains, you'll probably find that they begin to taste better. Heck, you might even begin to enjoy them.